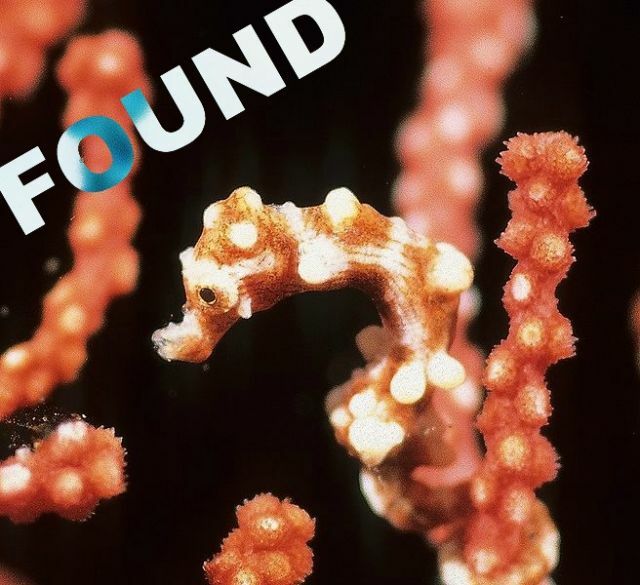 In the course of mapping the the world’s reefs for Google Street View, divers found the teensy weensy Denise’s pygmy seahorse (Hippocampus denise) in Australian waters for the first time, reports New Scientist (subscription). The five-eighths-inch long (1.5 cm) seahorse had previously been found living on coral reefs off Vanuatu, Palau, Malaysia, Solomon Islands, New Caledonia, and southern Japan. The mapping team found it off Heron Island on the Great Barrier Reef at 302 feet (92 meters) deep. “It’s very much a critical time for reefs and we want to cover as much as we can in the next two to three years to create a global record,” says project founder and director Richard Vevers. The announcement marks today’s launch of Google underwater street view. In the same way you can virtually walk around the topside world you can now virtually dive through the underwater world of a coral reef off Australia. It’s stage one of a six-part underwater series. Next up, the deep and shallow coral reefs of Hawaii, the Philippines, and Bermuda. The mappers are Catlin Seaview Survey—a partnership between the global insurance company Catlin Group Limited and the nonprofit Underwater Earth (check out the insanely beautiful images at their site). One of the two unique cameras used for the project (each capturing ≤50,000 360-degree panoramic images stitched together to create the underwater street views) was named “Sylvia,” for legendary marine biologist Sylvia Earle, founder of Mission Blue. The lucky mappers probably have the coolest job on Earth. And they’ve given us another unbelievably addicting way to get no work done. A Natural Ocean “Thermostat” Protecting Coral Reefs?